hmmm, what do you know? 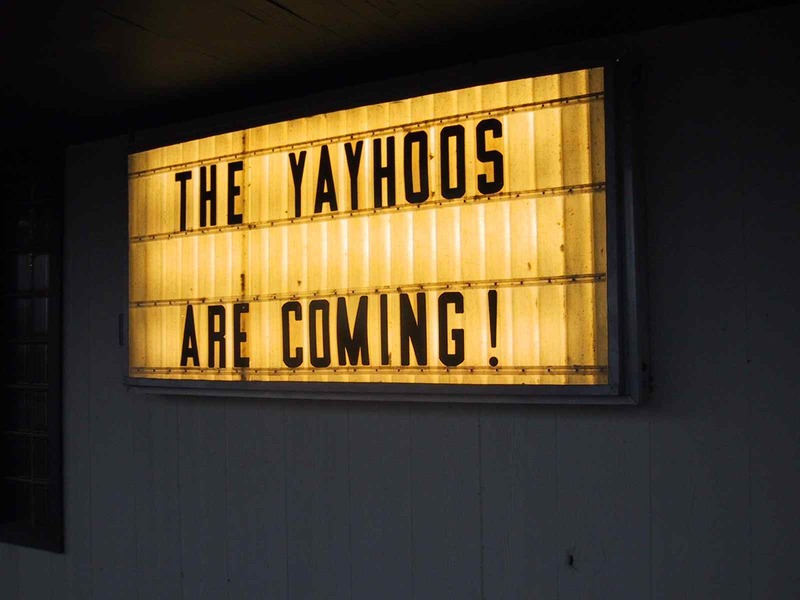 The Yayhoos haven’t performed as The Yayhoos for almost 10 years. We’ve all missed it and have decided to test the waters by going out for a couple long weekends this August. We hoped to present these dates to you when they were final but we got scooped while we were still in progress. We won’t be playing everywhere but the dates we will be playing will be posted here as they come in. Hope to see you! This entry was posted in news by yayhoos. Bookmark the permalink.